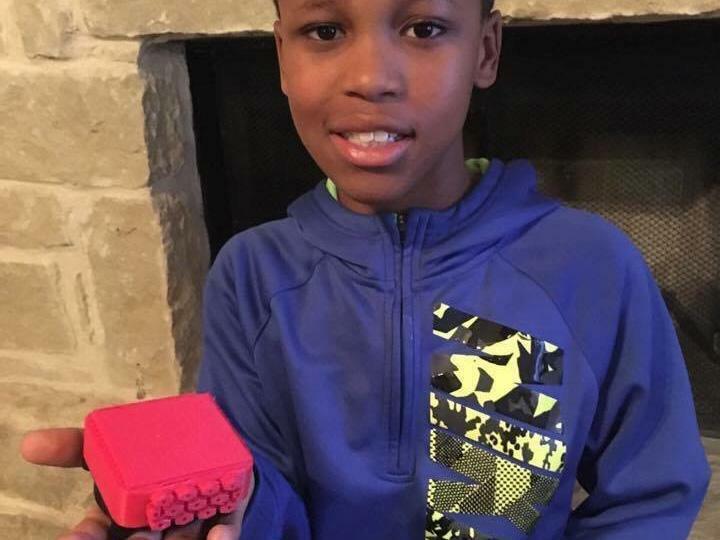 Bishop Curry, a 10 year-old boy invented the new device. He calls his design “Oasis”. The Hot Car device capable of saving young children accidentally left in hot cars. The shape of Hot Car device looks like that of a small box. When a child has been left inside a hot vehicle, a sensor would tell the Hot Car device to start blowing the cool air. Then an antenna inside box alerts the parents and emergency services to come to the child’s rescue. The device is placed on the backseat headrests of the driver and passenger or placed on a car seat. According to a study by San Jose State University, since 1998 as many as 712 children died from heat stroke after being left in a hot car. The boy Bishop Curry is from McKinney, Texas, USA. Bishop is always fascinated with making new things from creating a home-made catapult and ping pong ball cannon to thinking of ways to melt ice and snow on roads without using salt. He spent his summer holidays for developing this device. And first he got an idea for this device when a 6 year-old baby named Fern died down the street after being locked in a hot car and he read the story in the news. He got a lot of help from his parents, classmates and friends who were fully behind him on his Oasis project. Currently he has an only 3-d clay model of this design. Bishop already has a provisional patent and a 3D model of his invention. But a minimum amount of $20,000 was needed for developing and manufacturing the prototype as well as finalizing the patent. So Bishop Curry’s father began a GoFundMe campaign in January, 2017. This campaign was to help Bishop and raise the funds needed for his invention to go from concept to creation. The GoFundMe campaign had already overreached that $20,000 goal.